Dry eye is the term used to describe eyes that do not produce enough tears or tears with the proper chemical composition in any of these layers. If untreated, dry eye can be more than just irritating or uncomfortable. Excessive dry eye can damage eye tissue and possibly scar the cornea, the transparent front covering of the eye, impairing vision. Contact lens wear may be more difficult due to the possibility of increased irritation and a greater chance of eye infection. 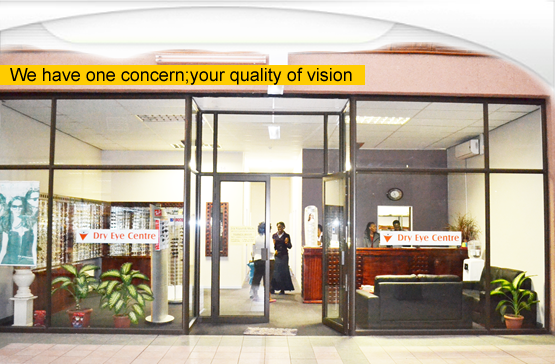 If you are experiencing the symptoms of dry eye, your doctor of optometry can perform “dry eye” tests using diagnostic instruments to give a highly magnified view and special dyes to evaluate the quality, amount and distribution of tears. Your optometrist will also need to know about your every day activities, your general health, medications you are taking and about environmental factors that may be causing your symptoms. Changing environmental factors like avoiding wind and dust and increasing the level of humidity. Insertion of small plugs in the corner of the eyes to slow drainage and loss of tears. Whatever treatment is prescribed for you. It is very important that you follow your doctor of optometry’s instructions carefully. Dry eye does not go away, but by working together you and your doctor ca n keep your eyes healthy and protect your good vision.